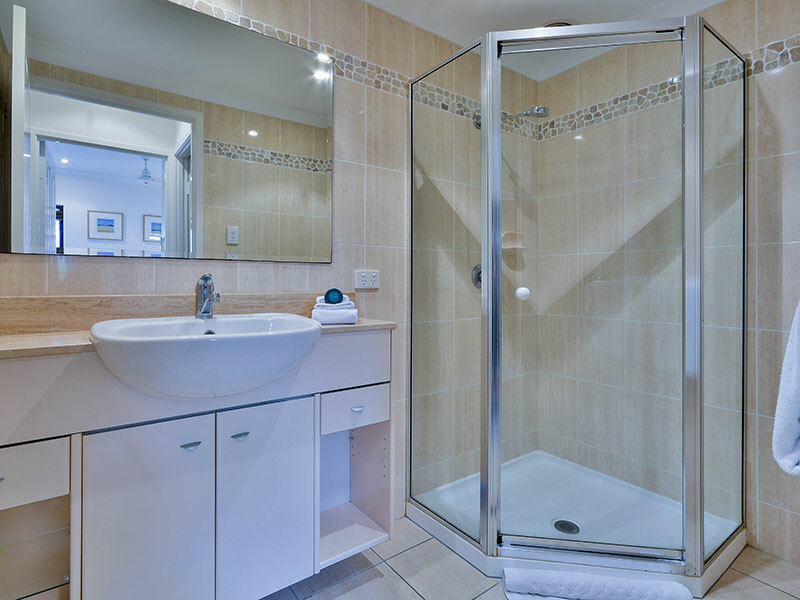 Light-filled, breezy two bedroom apartment. 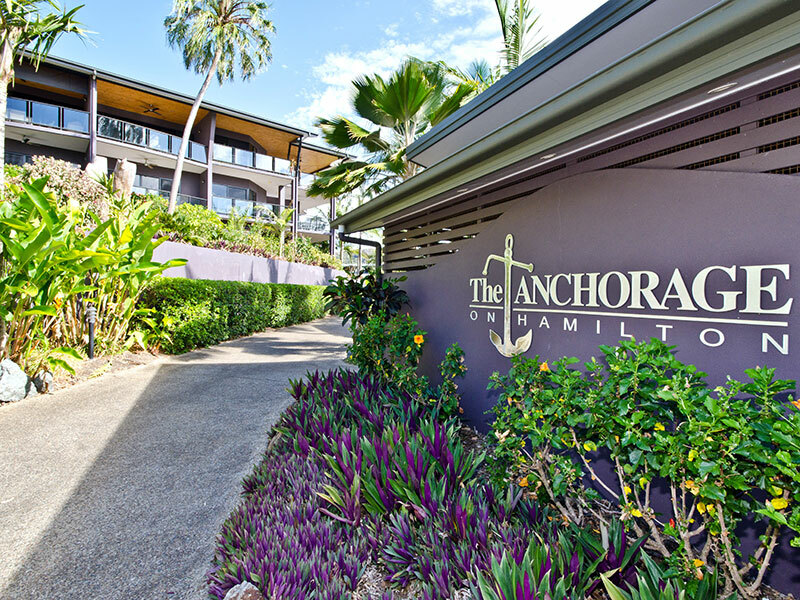 Bright and modern, Anchorage 6 is set over two levels and makes the most of the island's cooling sea breezes. 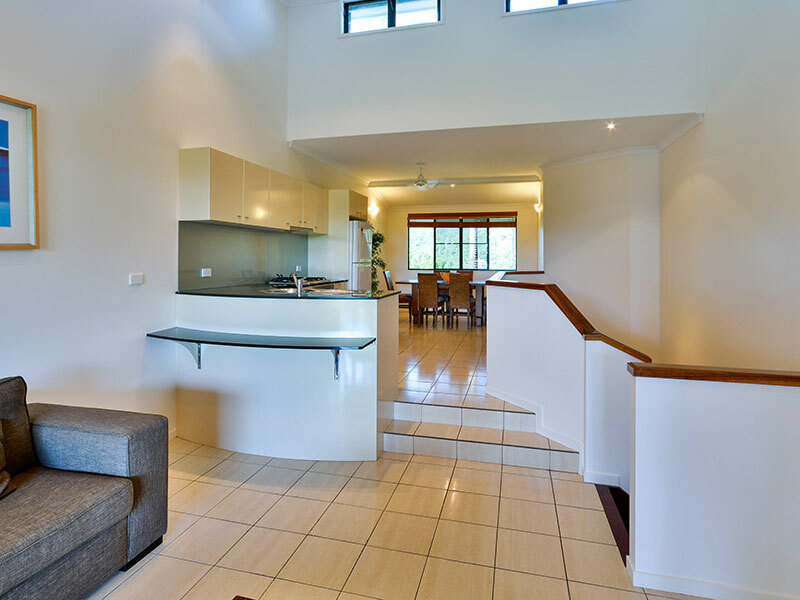 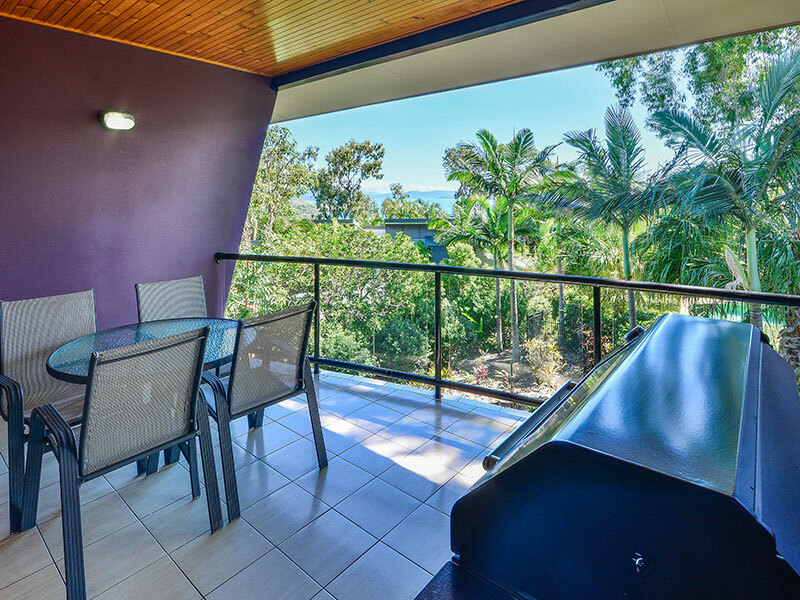 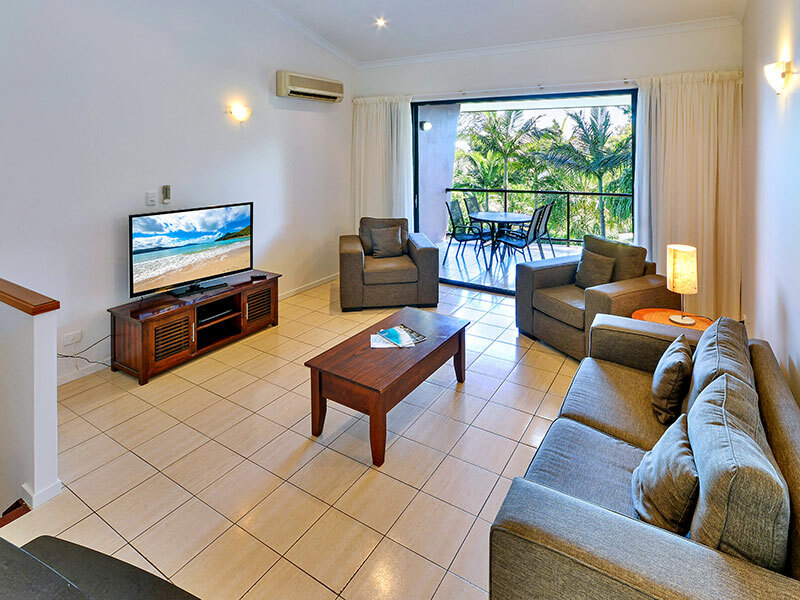 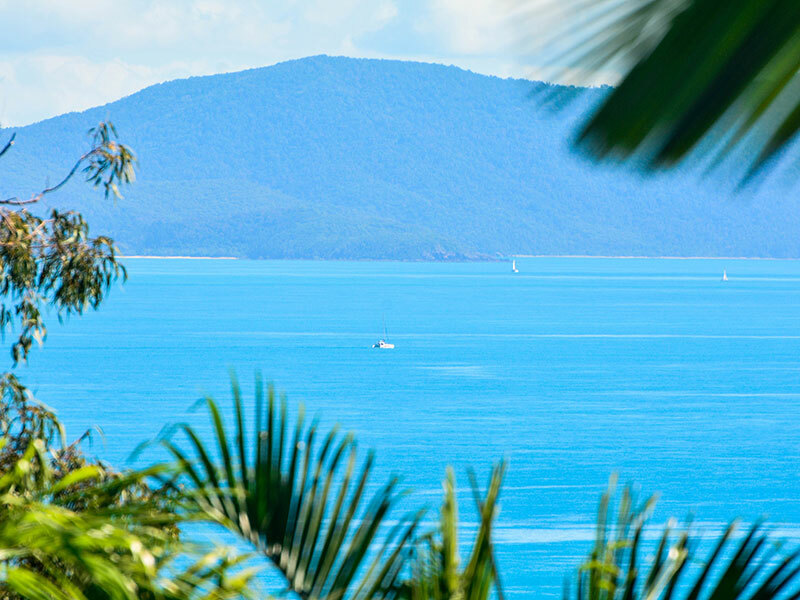 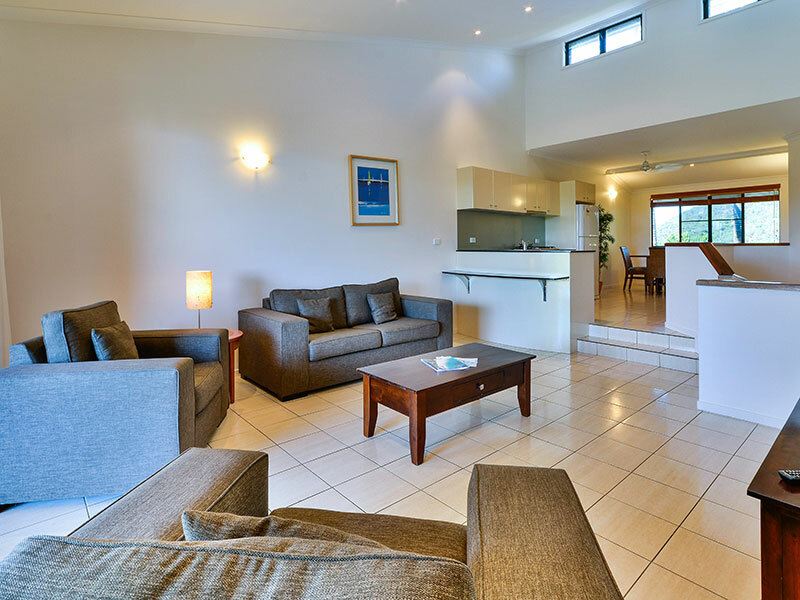 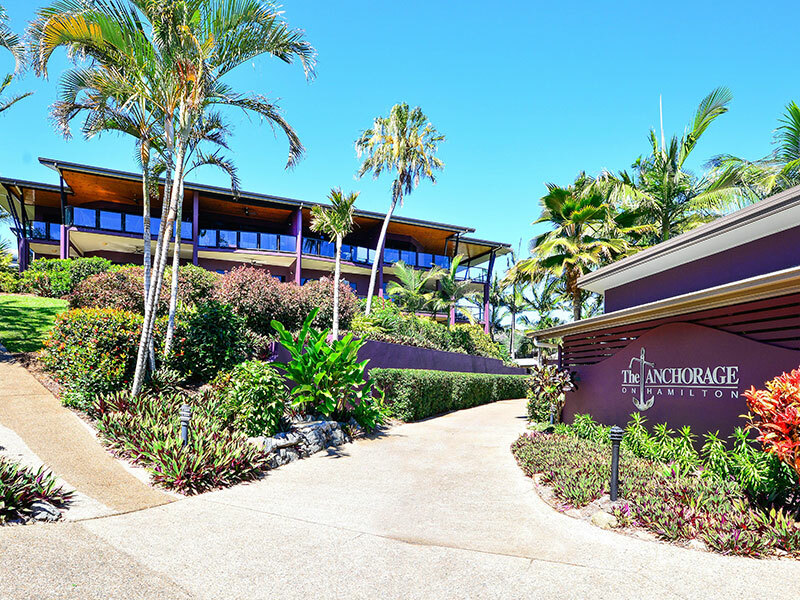 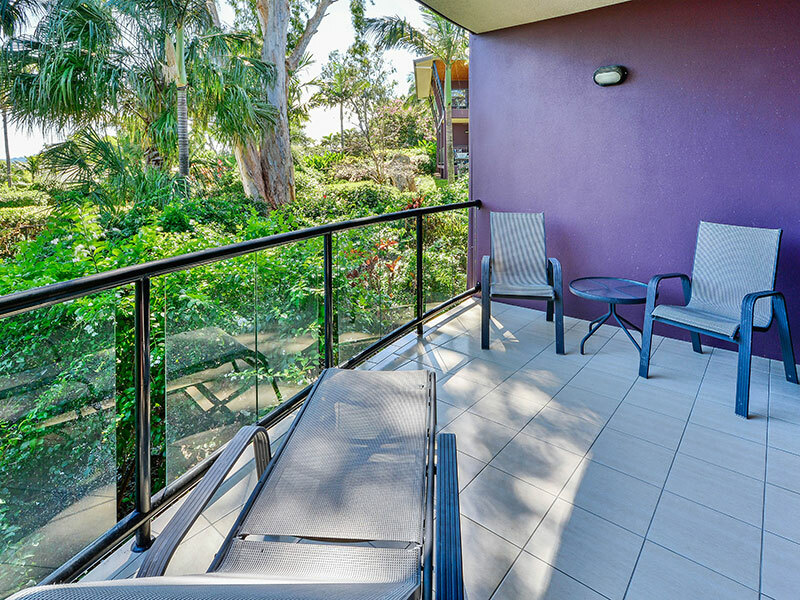 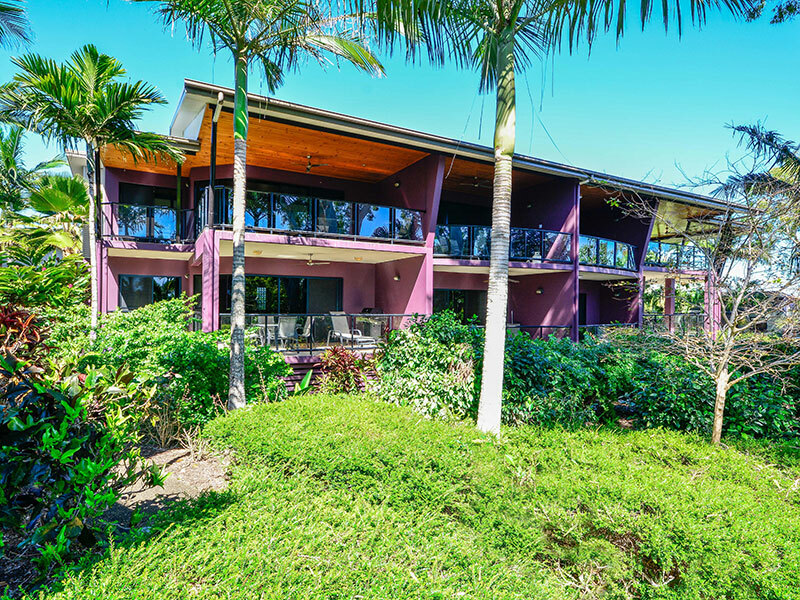 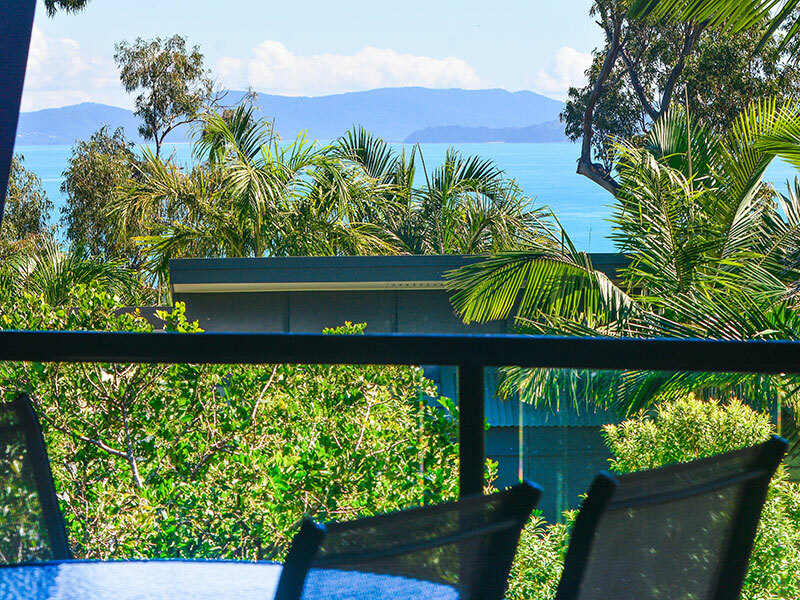 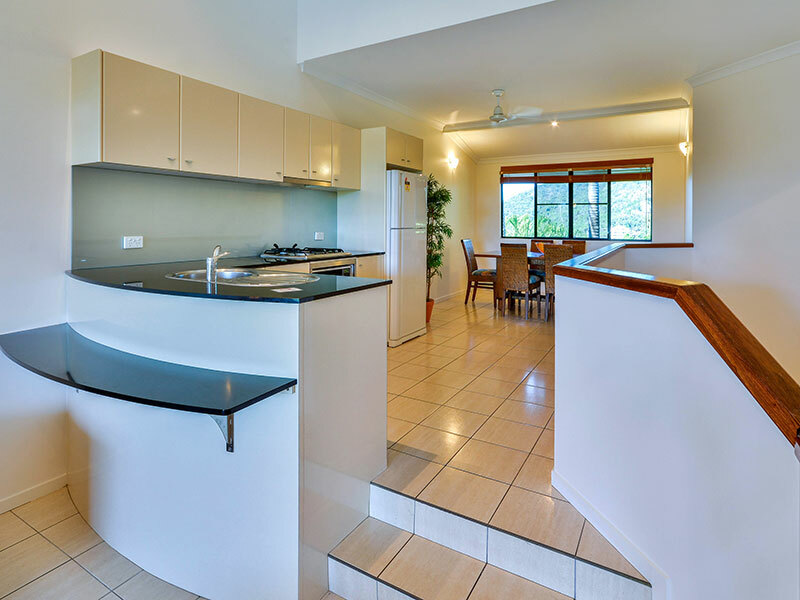 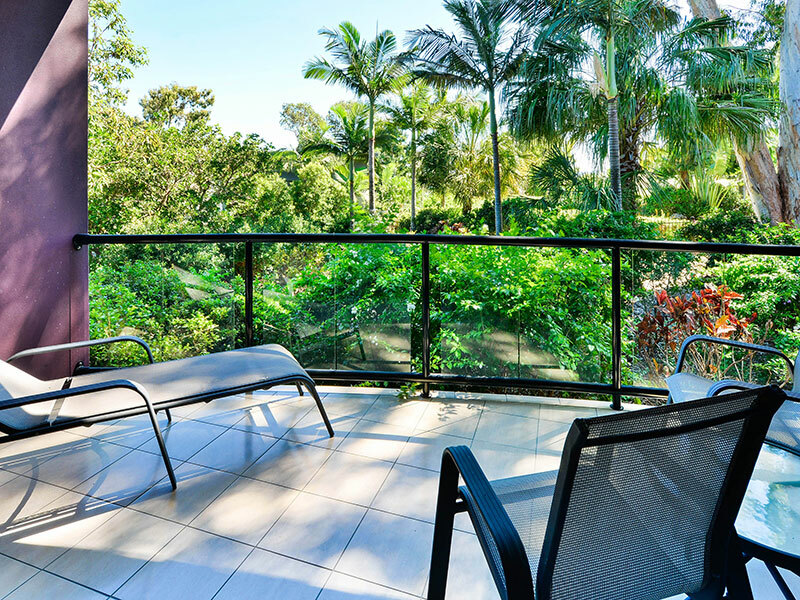 Relax on your balcony and enjoy magnificent views of Anchorage's tropical gardens, through to the Whitsunday Islands. 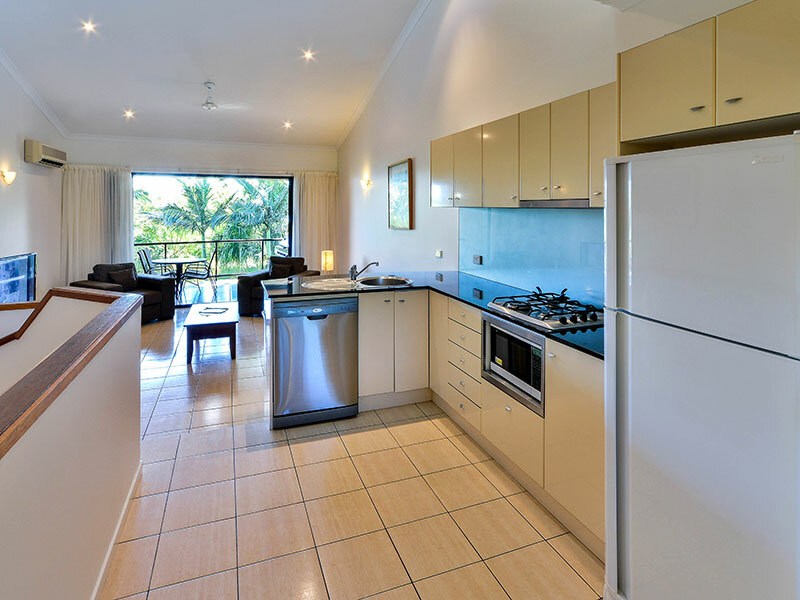 The clean, bright kitchen with stainless steel appliances, dishwasher, convection microwave/oven and caesarstone benchtops makes self catering a breeze. 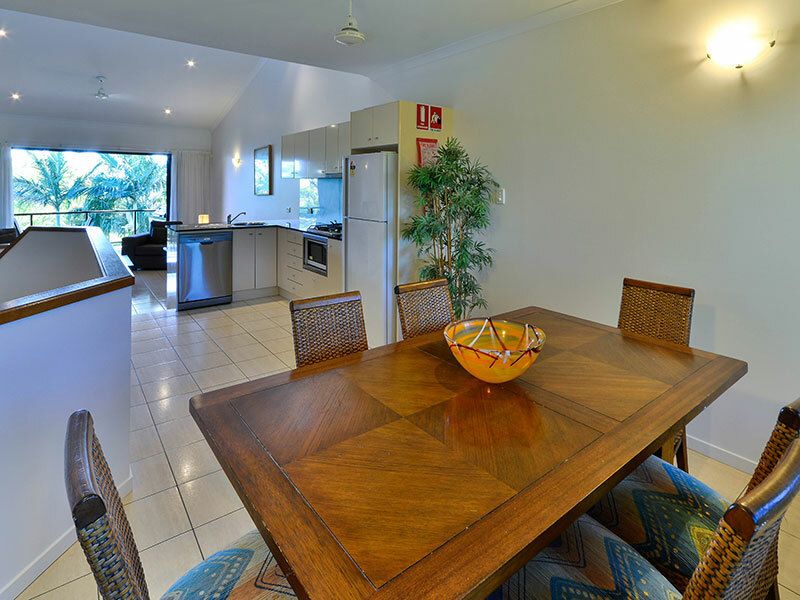 There are two bedrooms on the lower floor, as well as a double sofa bed in the living room. 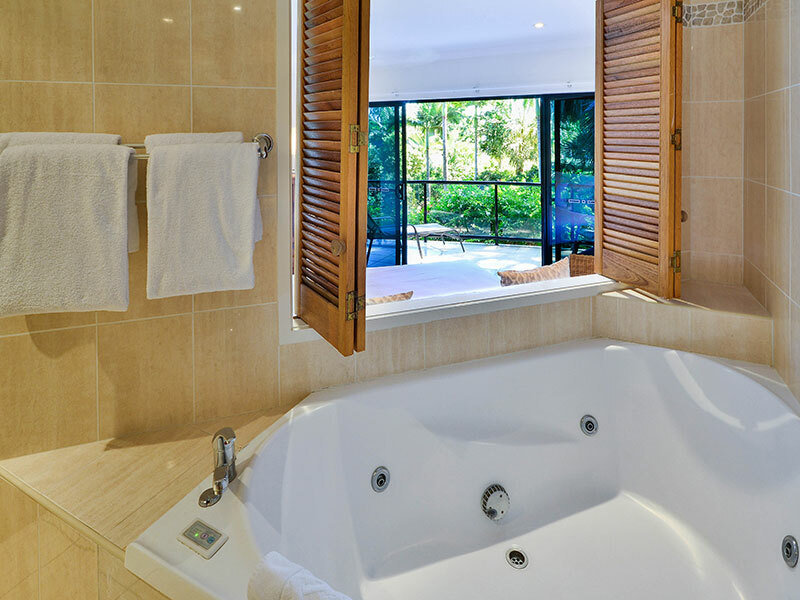 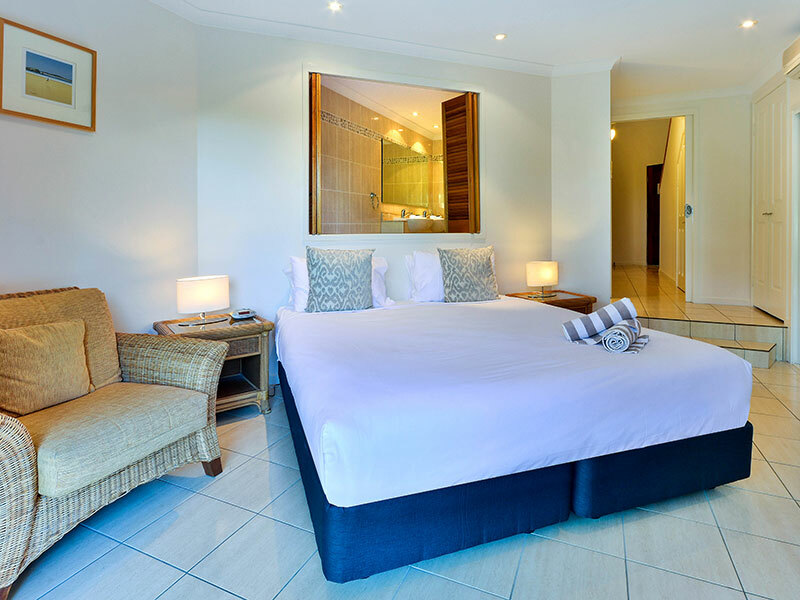 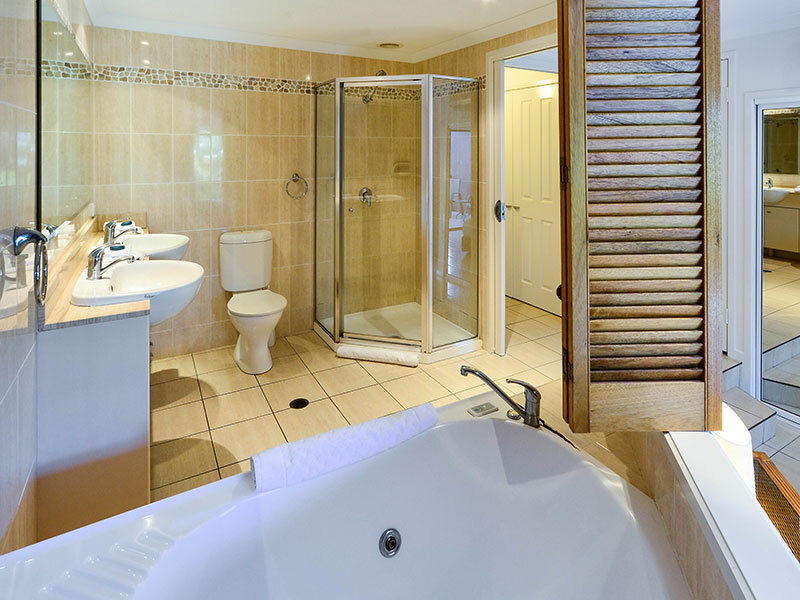 The main bedroom features a king bed and an ensuite with a spa bath where you can relax and take in the view. 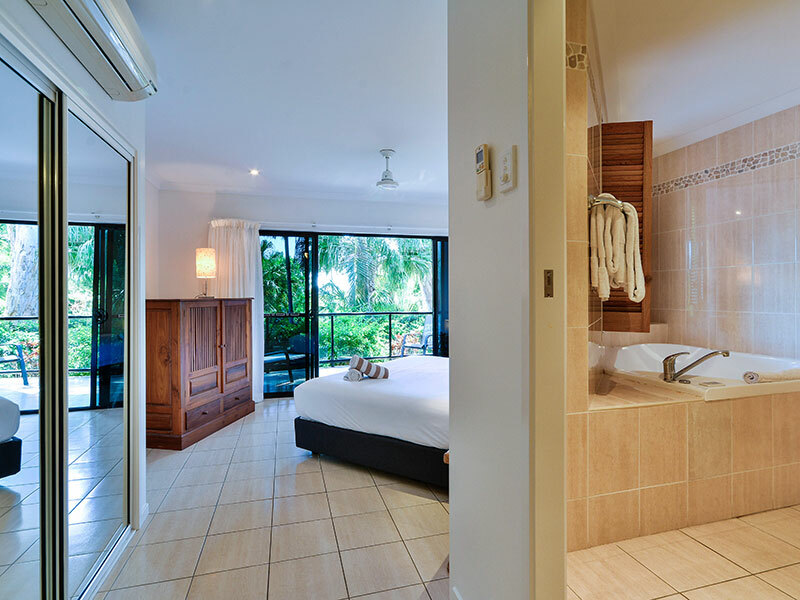 The second bedroom is privately located away from the main living area. 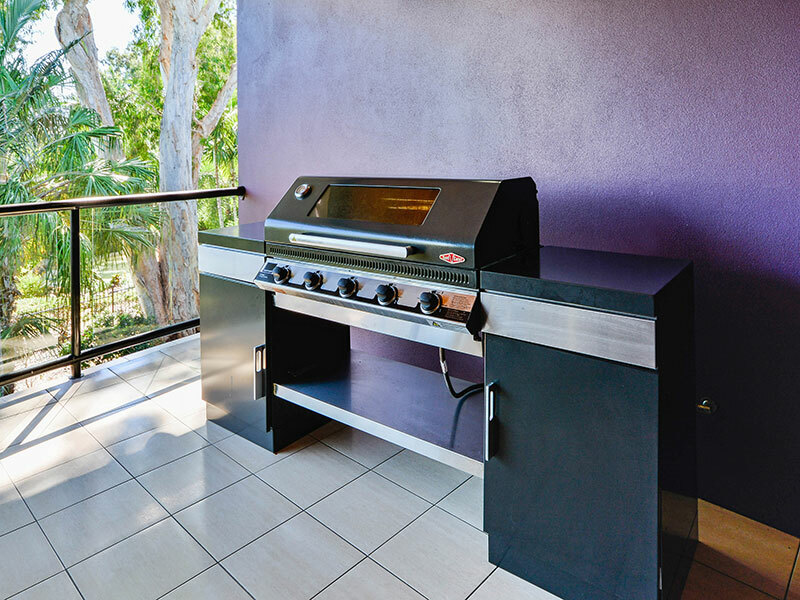 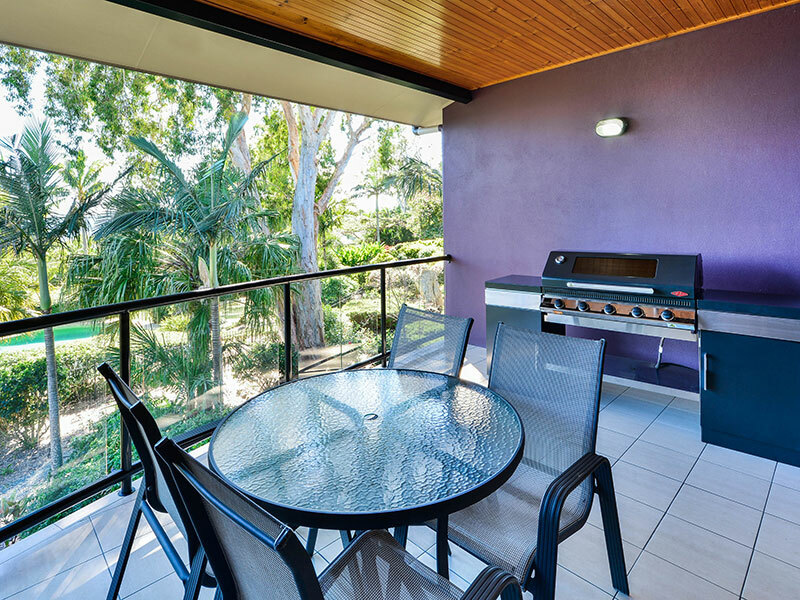 Make the most of Hamilton Island's balmy weather from your private balcony, featuring a state of the art five burner Beef Eater Discovery BBQ - ideal for outdoor entertaining. 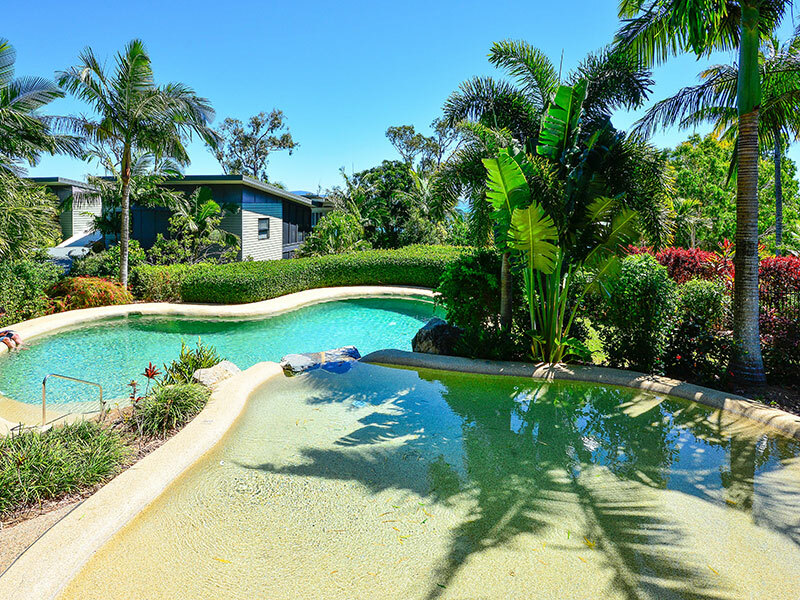 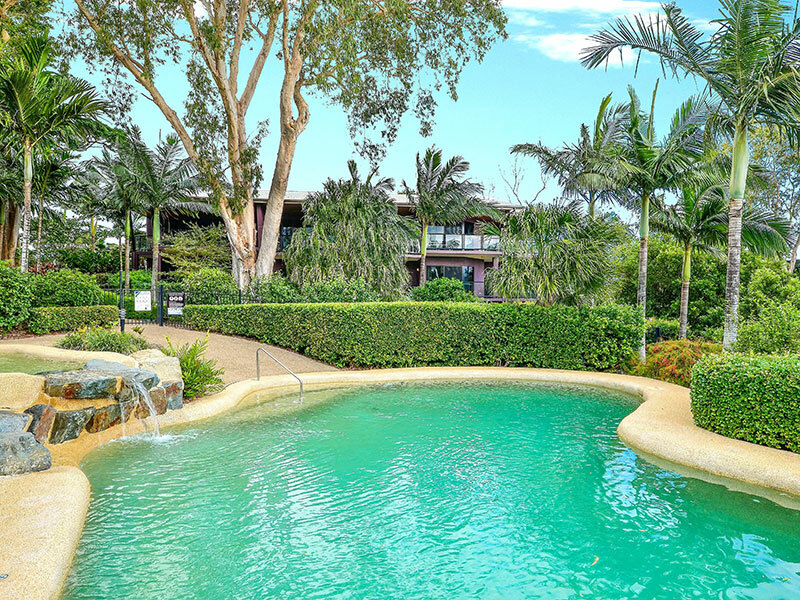 A shared pool in the Anchorage complex offers filtered views of the Whitsundays. 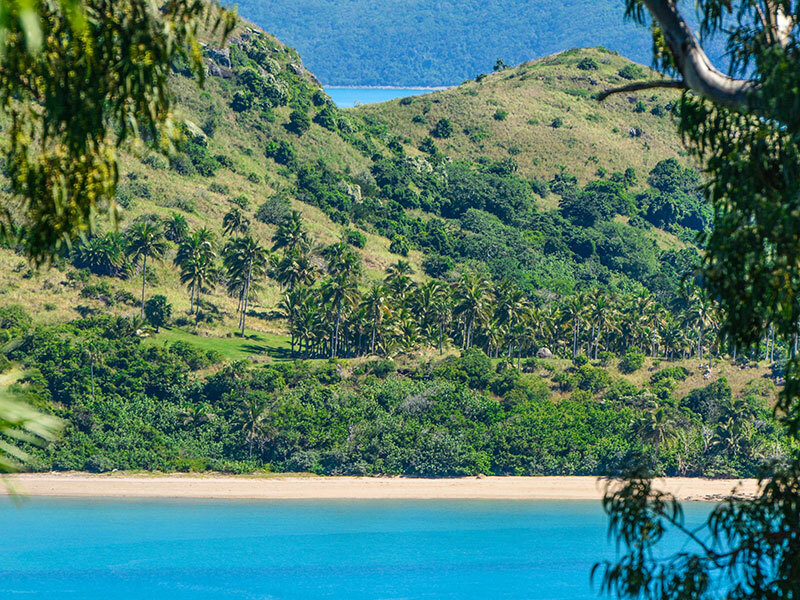 Situated on the tranquil and secluded northern side of the island, you're just a short buggy ride to all the island's key attractions. 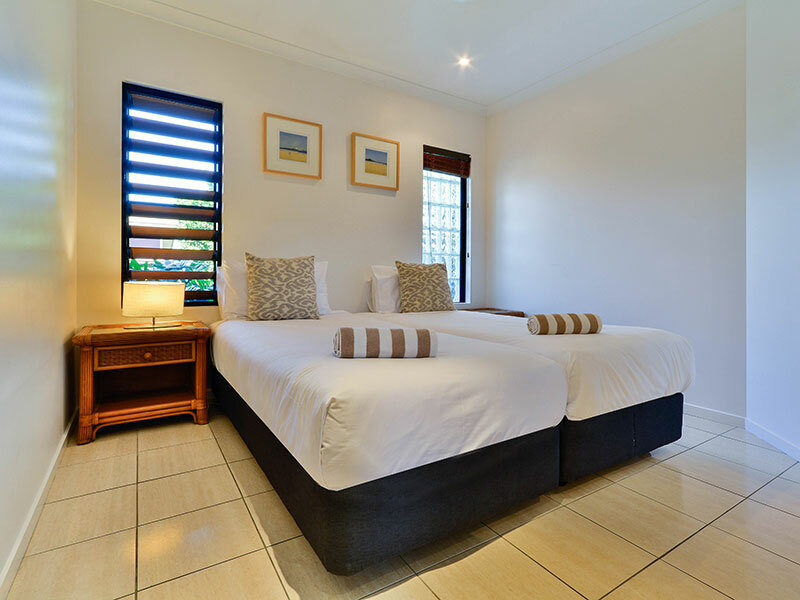 The second bedroom is located away from the living area - perfect for sleeping children. 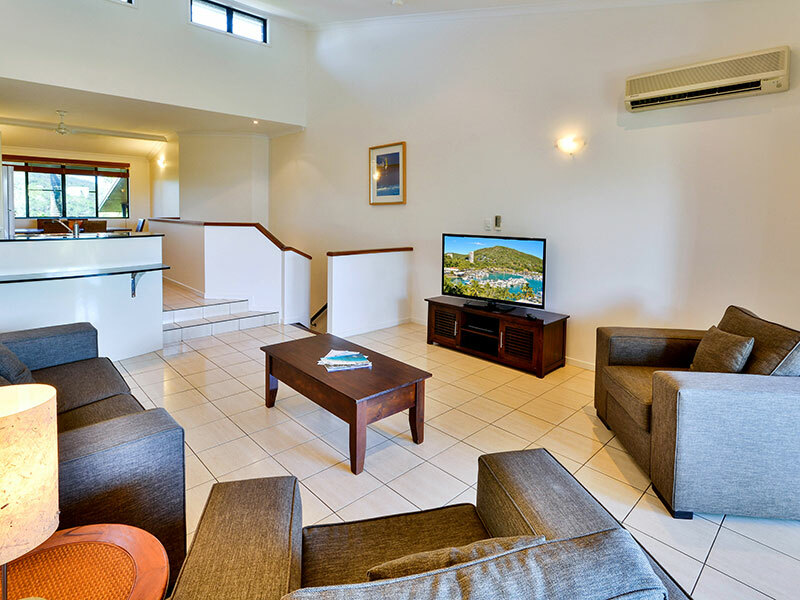 There is also a double sofa bed in the lounge area - ideal for children or visitors.